Tickets are $15.00 in advance, or $20.00 the day of. There is a $3.00 surcharge for those under 21. 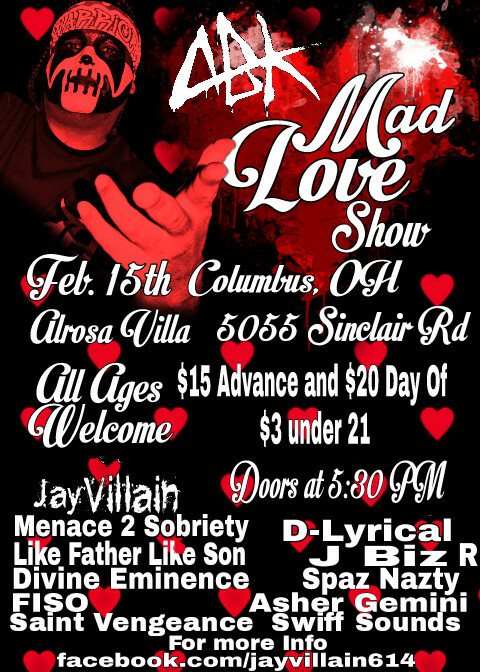 For more info, hit up Facebook.com/Jayvillain614!